What is the Student Veterans of America? Student Veterans of America, or SVA, is a non-profit organization with 501(c)(3)status. The group’s purpose is to assist military veterans in pursuing higher education and ensuring the unique needs of this population are met. 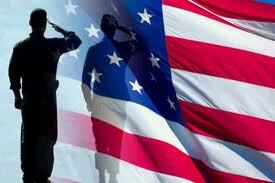 SVA advocates for the most beneficial use of veterans’ military educational benefits. With the assistance of other veterans’ groups, they were successful in heralding the passage of the Post-9/11 Veterans’ Educational Assistance Act of 2008. SVA is governed by the executive leadership staff at its Washington, D.C. based national headquarters and is made up of student chapters at college and university campuses across the country. These chapters provide peer support for military veterans attending post-secondary education. The groups are a sounding board for members, as well as an advocate for the transition to student life. There are outreach activities, networking events, career workshops and other types of programming available to benefit members. These programs help to support SVA members throughout their education and to increase their chances of success upon graduation. Some obstacles military veterans face when they arrive on campus may include feeling out of place among the younger aged students and dealing with the possible effects of war. 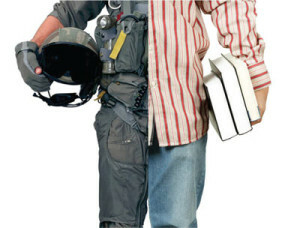 Student Veterans of America has a classification system to distinguish the kinds of issues that are unique to veterans. These categories include administrative, reintegration and academic. Administrative issues veterans may face involve navigating the ins and outs of higher education, as well as obtaining education benefits. Reintegration issues are faced in transitioning from the life of an enlisted person to developing a new identity as a civilian and student. Academic obstacles are commonly faced by veterans who have been out of a formal learning environment for an extended period of time. These issues can be overcome by having an academic and peer support system in place. Thus, having an organization like SVA increases veteran student retention, allowing higher percentages of this population to successfully reach graduation. In order to support chapters, SVA dedicates a great deal of effort into developing quality programming. An annual national conference occurs each year, and scholarships are available for student veterans in various academic disciplines. More than $23.7 billion has gone into the investment of the Post-9/11 G.I. Bill in order to provide funding for more veterans to attend college. Alumni are invited to assist in chapter efforts and to attend national activities. Partnerships with other campus organizations and support services on campus are emphasized, as such collaborations are essential to the success of veterans pursuing their degree. Student veteran advocacy is the primary purpose of SVA’s existence. The national staff and campus chapters are constantly striving to ensure the specific needs of veteran students are addressed. The Student Veterans of America is a dynamic non-profit organization that has significantly impacted the experiences of military veterans pursuing higher education opportunities in a positive way.